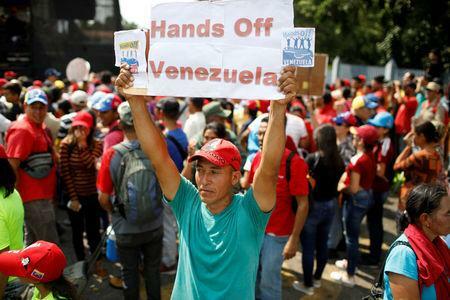 The sanctions on Petroleos de Venezuela (PDVSA), imposed last month in an attempt to dislodge Venezuelan President Nicolas Maduro, barred access to U.S. financial networks and oil supplies for the PDVSA joint ventures, pressuring the nation's already falling crude output and exports. PDVSA's Orinoco Belt joint venture partners, mostly U.S. or European companies, are facing difficulties getting cash-flow out of the country as a result of the sanctions, straining their ability to continue output and exports. PDVSA has been in talks with the companies to persuade them to commit publicly to the joint ventures, the sources said in recent days.